Why did President Rivlin invite Germans to commemorate International Holocaust Remembrance Day with him? 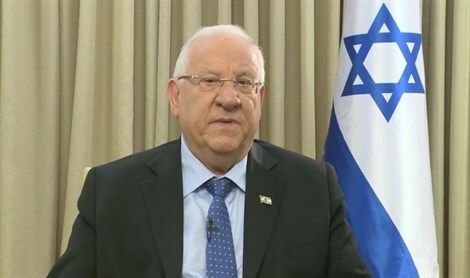 President Rivlin invited Germans to commemorate International Holocaust Remembrance Day with him. Hear: What they said and how they feel. And: Rabbi Shmuley Boteach who arranged a meeting to discuss "The Global Battle For Israel's Good Name" with several famous personalities, including Rosanne Barr and Uri Geller. Unfortunately both had little positive to contribute. Also on the platform were the ex-spokesperson of the Pentagon Dana Whyte who quit with US Defense Secretary Jeff Mattis, and Seth Franzman, the op-ed editor of the Jerusalem Post, who saved the day.